The village of Wilderness lies at the coast in the heart of the famous Garden Route, about 400 km east from Cape Town and only 10 km from the city of George. It is well known as the most romantic coastal village in South Africa. 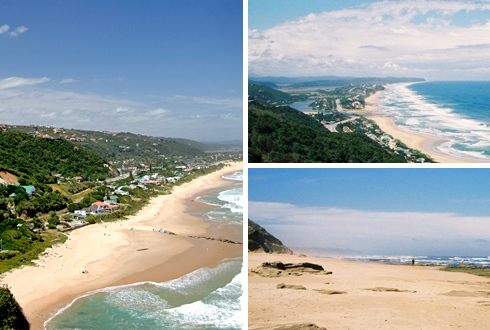 Wilderness and the Garden Route offer plenty to do, see and experience. From Wilderness there are many scenic drives to make within a day. So it’s an easy place to stay for a few days. Visit Oudtshoorn or Tsitsikamma National Park and other popular coastal places such as Knysna, Mosselbay and Plettenberg Bay. You may also wish to do any of the outdoor activities in the area like ocean swimming, segway tours, hiking, canoeing and horse riding or choose to relax at the beach. Wilderness is also known for whale and dolphin spotting and a favourite destination for paragliding fans. Whether you are looking for relaxation or excitement in your holidays – Wilderness can offer it all. Golfing is another popular activity that you can do in this area. Wilderness is situated in the midst of some of the most famous golf courses in the world, like Fancourt, Pezula, Oubaai Simola and Ernie Els Golf Estate.